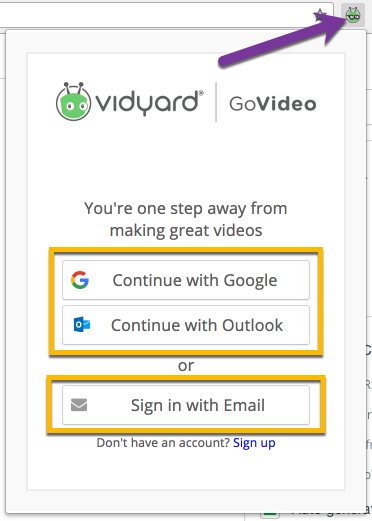 Open the GoVideo Chrome extension and sign in with your Vidyard, Google or Outlook credentials. Click on the GoVideo Extension in the upper right-hand corner of your browser to open it. 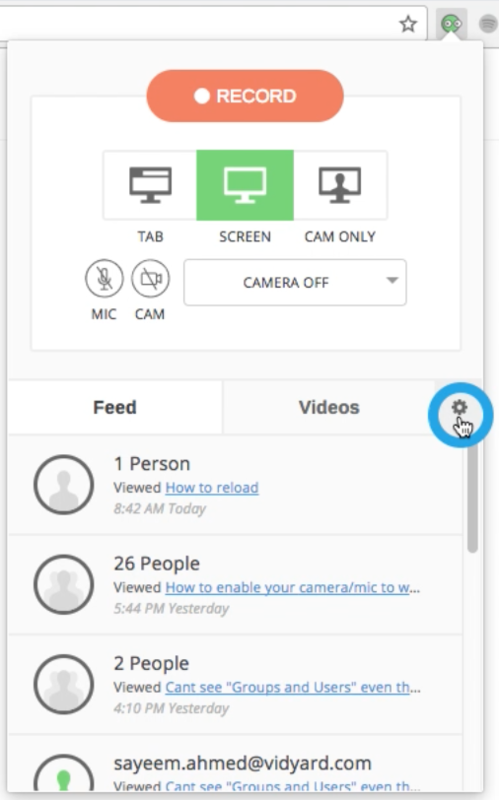 Select the Gear icon to the right of the Videos tab to open the extension settings. Click Sign Out and re-open the Chrome extension to return to the sign in screen. 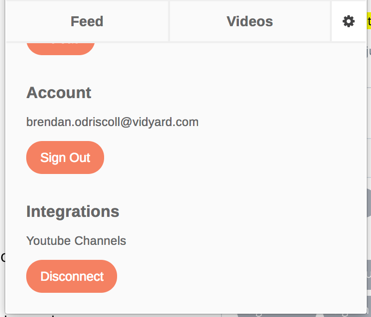 Under the Integrations section, you will find options to disconnect GoVideo integrations, such as your YouTube channel. Why are my players with autoplay starting muted (with no sound) and show a 'Click to Unmute' message?